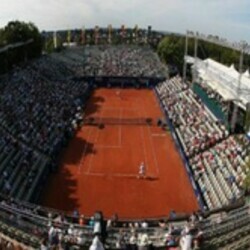 Every year in July, the world's top tennis players gather in Stuttgart for the MercedesCup. 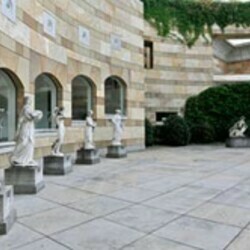 This clay-court tournament is part of the ATP world tour and takes place in the district of Weissenhof. Recent winners of this prestigious event include star players such as Juan Carlos Ferrero, Albert Montañés, Jérémy Chardy, Juan Martin del Potro, Rafael Nadal and David Ferrer. Instead, in the heart of the city, 120 stalls decorated with vines serve typical Swabian dishes such as maultaschen (ravioli), kässpätzle (cheese noodles) and ofaschlupfer (sweat bread pudding) along with a range of regional wines. 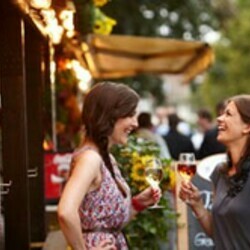 A scaled-down version of Stuttgart Wine Festival has been held in Hamburg every summer since 1986.